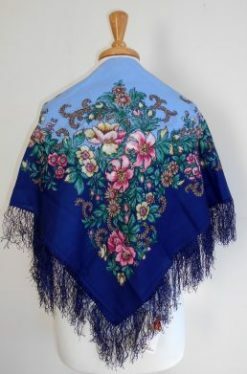 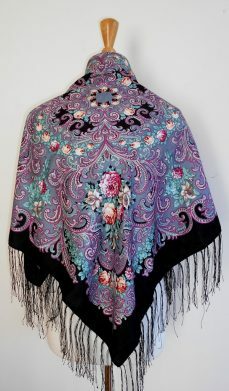 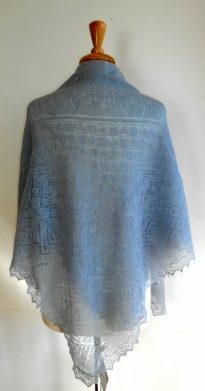 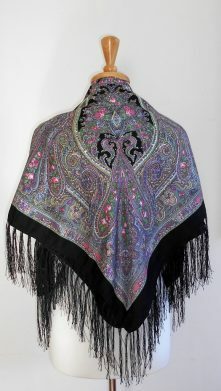 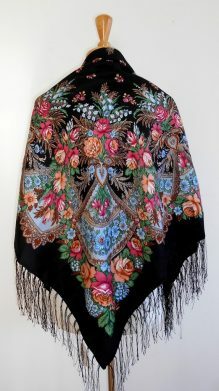 Beautiful hand-made Russian shawl from town of Orenburg. 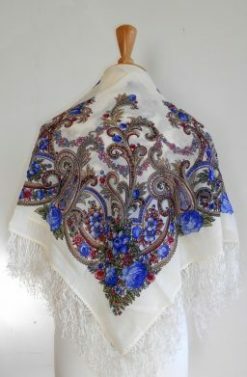 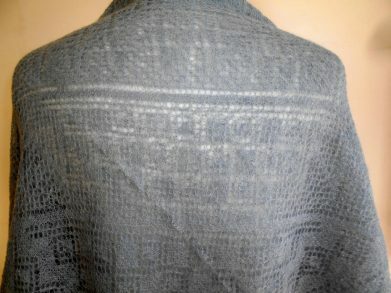 An Orenburg shawl is a very thin, yet warm and strong, lacey shawl that originated in Orenburg, Russia in the 18th century. 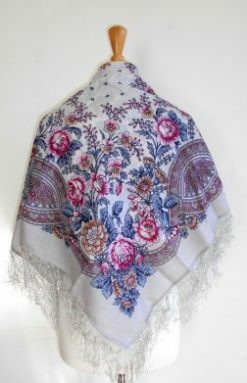 It is made from cashmere-like down fur of the Orenburg goat. 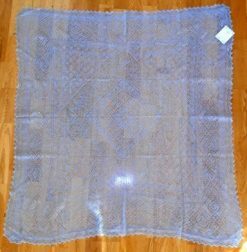 It is commonly called “wedding ring shawls” because it can literally fit through a wedding ring band. 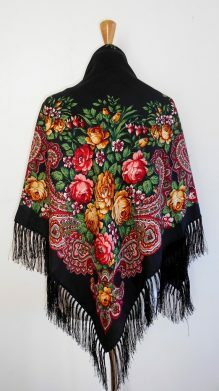 The biggest difference between an Orenburg shawl and any other shawl is the fact that they can only be made from goats in Orenburg. 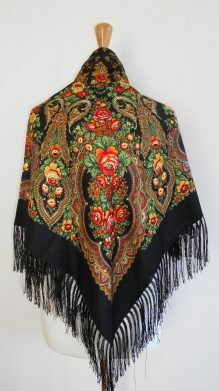 Goats from any other region do not have the ultra fine hair that the Orenburg’s goats have. 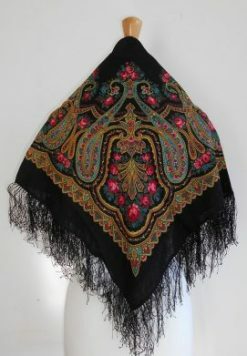 This is due to the very cold climate and harsh snowy Winters that the Orenburg region has. 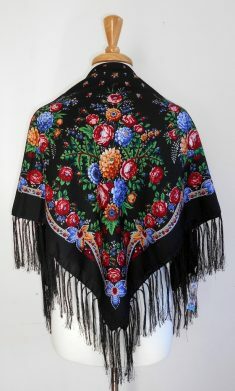 In fact, when Orenburg goats were transported to France in order to make more of these beautiful shawls, it did not work because the goat’s hair changed with the climate. 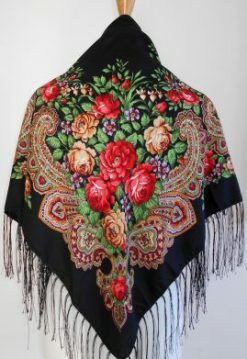 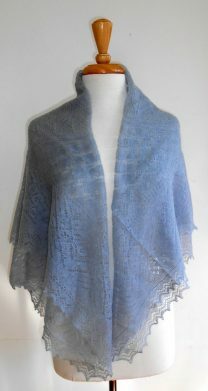 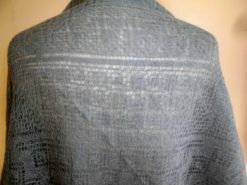 Another special thing about these shawls is that even though they are very thin, they are very durable; even more so than wool.